The 2019 Southeastern District Player Development Tryouts will be held the weekend of April 26-28, 2019. This year the event will be hosted by the Potomac Valley Amateur Hockey Association (covers VA, MD, DC) with the host rink in Woodbridge, VA at the Prince William Ice Center. The registration link is listed below. No walk ins will be accepted. All players must pre-register by April 14. Registration IS NOW CLOSED. Registration fees which is $225, will not be refunded. The following players from the SE District were selected to attend USA Hockey player development camps during the summer of 2019. Below is a partial list of SAHOF girls selected for player development camps from the tryout on April 20-22, 2018. The selections for the National Camps (18 Select, 16/17, and 15) will be announced in accordance with the National notification timeline. Players selected to National Camps will be notified directly from the USA Hockey National Office. May 16 is the date noted for all National Camp selections for the SE District allocations. The list below is for the Multi-District Player Camp (2001-2004 birth years) at Kent State University and the 14 Eastern Region Select Camp (2004 birth years) in Ashburnham, MA. There were no SAHOF players selected for the Multi-District Goaltender Camp at Kent State. 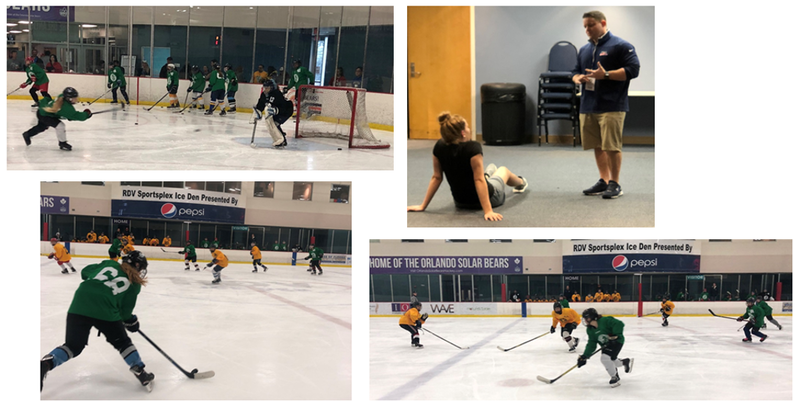 The 2018 Southeastern District Girls Player Development Tryout was held April 20-22, 2018 at the RDV Sportsplex Ice Den in Orlando, FL. This tryout was open to all Southeastern District female players born in 2001, 2002, 2003 and 2004. Approximately 120 girls participated. Players will be selected at this tryout to attend USA Hockey National Select Camps and Multi District Player Development and Goaltender Camps. Selections will be posted for the Multi-District Camp (2001-04 players) and the 14 Select East Regional Camp (2003 players) on the Southeastern District Website by April 30, 2018. Selections for the National Camps - 15 Camp (2003 players), 16/17 Camp (2001 & 2002 players) and U18 Select Camp (2001, 2002, 2003 players), 16/17 Camp (2001 & 2002 players) will be made by May 16, 2018 in accordance with the National Timeline by the USA Hockey National Office.